Pinterest is more like a blog or a bookmarking site. It's not really a social network - it just looks and feels like one. Should your business be on Pinterest? Is it really as useful as people make it out to be, or is it just another StumbleUpon that creates a ton of social activity, but no real sale?. The short answer is that Pinterest is worth it, if your brand fits into its very narrow scope. But it is not like most social platforms. I think the best way to explain the value of Pinterest is a simple example of how people use it. On Pinterest you can look up what people pin from your site by going to 'pinterest.com/source/[yoursite.com]'. So let's look at what people pin from the NYTimes.com. If you look at the NY Times site itself, you'll notice that it's filled with an array of serious articles. So, you'd expect (or at least hope), that what people pin would somehow reflect this. A chair, a pillow, some fashion, and quite a lot of pictures of food. And if you scroll down some more, you see that people have also pinned pictures of art, a few pictures of classic cars, more food, an article about Instagram, more food, a bit of jewelry, more fashion, and a number of pictures of cute animals. Again, this is only pins from NYTimes.com. This pretty much sums up what Pinterest is all about. It's not actually a social network at all. It's a social discovery engine focusing on design, food, cars, and fashion and other consumer focused lifestyle things. Pinterest's 'scope' is extremely narrow. 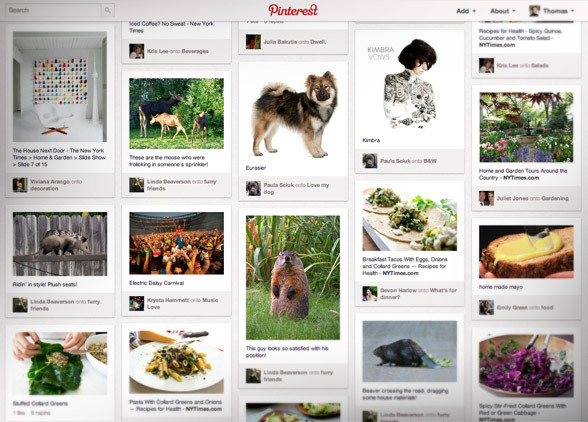 You should not think of Pinterest as a social network, it's more like a crowdsourced design site. If the editor of the New York Times came to me and asked, "should we be on Pinterest?" The answer is, "Absolutely not!" At least not for the newspaper as a whole. Unlike Twitter and Facebook where you can define the value, you cannot do the same on Pinterest. And it is the same with brands. You have to ask yourself if your product fits into this consumer lifestyle universe, where most of the activity evolves around snackable products. 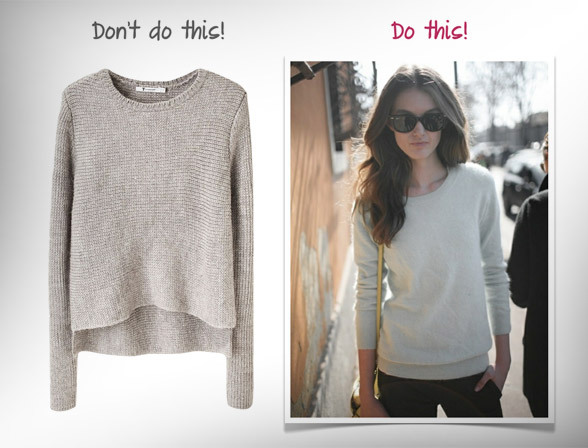 Fashion products, for instance, is a perfect fit. Coffee machines ...not so much. One of the big problems with Pinterest is that unlike social networks, it is not designed to connect you with the creators and the designers. 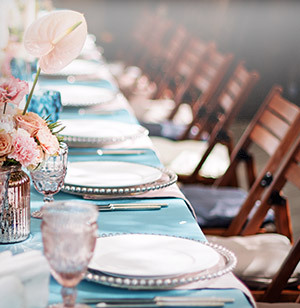 It is designed solely to keep you on Pinterest for as long as possible. For instance, if you find an interesting object and decide to share it on Facebook what you actually share is a link. And when people click on that link, you end up on the creators' site (or at least, whatever site you found it on). The social networks are all about the link. It's the same with Twitter and Google+. But what about Pinterest? 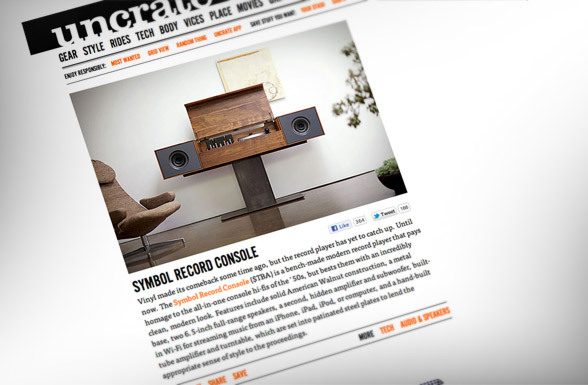 Take Uncrate, which is a great design site for men. If you find an interesting object and decide to share it with your followers on Pinterest, this is what happens. The design is transferred to Pinterest and presented in a very nice and visually appealing thumbnail view that people can follow. This is great. What you expect now is that when you click on one of these boxes, you will be taken back to Uncrate so that you can see it in all its glory ...except, that's not how Pinterest works. Instead, when you click a link, you are being presented with a bigger window showing you the full product view without taking you to Uncrate. Pinterest is not connecting you with the source. They are kidnapping the connection and using other people's content to keep you on their site. Sure, you can click on the image and then go to the site (which you have to know because there is no visual indication that this is possible), but that means you have to click twice. 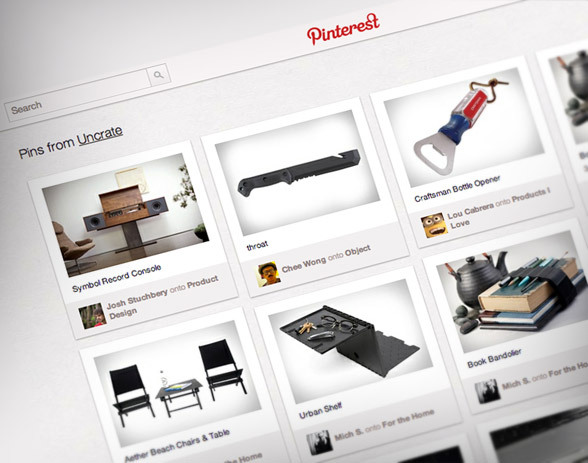 Once to see the product on Pinterest, and once to see exactly the same thing on Uncrate. But what about the box underneath the picture telling people that this picture was pinned from Uncrate? 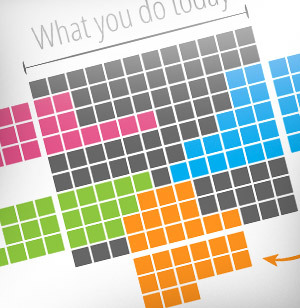 Isn't that a highly visual and powerful call-to-action to link it to the source? The info box underneath the picture is another ruse to keep people on the site, while at the same time appearing to be crediting the creator. In actual fact, when you click on 'uncrate' you don't go to Uncrate at all. Instead, you are taken to another page on Pinterest listing all the other pins from that site. And if you click on any of the thumbnails, you see that picture, again, on Pinterest. It's just another way to discourage you to go to the source, and instead keep you on Pinterest for as long as possible. 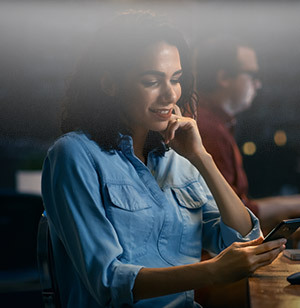 Pinterest is taking over the connection. When you share something on Facebook, you share a link. When you share it on Pinterest, you actually republish the image. You are not linking, you are publishing. Pinterest is more like a blog or a bookmarking site. It's not really a social network - it just looks and feels like one. Lately many people have compared Pinterest with Google+ (most saying that Google+ is no match for Pinterest), but they are completely missing the point. Pinterest is not like Google+ or Facebook. It's just like Tumblr, although in a much simpler form. For publishers, especially sites like Uncrate who are the 'bringers of news', this is not good. Pinterest is taking Uncrate's content and republishing it on their site, and doing everything they can from discouraging people from ever going back to Uncrate again. Sure, Pinterest is also driving a lot of traffic, but how much is it keeping for itself? For brands, of course, it is a bit different. You still have to consider that Pinterest is fundamentally engineered to keep people in, rather than a social platform for sharing links to interesting things. You have to think of it the same as Tumblr. You certainly want people to pin your products, especially if you are the type of brand that fits well into the consumer design and lifestyle category that Pinterest users focus on. It's free exposure and you would be a fool if you didn't take advantage of that. But you have to remember how Pinterest works, especially how linking is a two-step process. Decide if it is worth spending more time on, and click the image again to visit the site. This means, that on Pinterest, people make a decision first before they click onto your site. Theoretically, that's not a bad thing. What it means is that the click-through rate is likely lower than from e.g. Facebook, Twitter or Google+, but the conversion rate is much higher, because people have already decided that they are interested in knowing more about your product. Practically speaking though, it's tricky to measure. We cannot measure exposure rate, simply because we have no idea how many people view a particular post. So, whilst we can measure the number of click-throughs, we have no idea at what rate. Measuring conversion rates, though, is different. We can measure that. We only need to look at the number of clicks from each channel and measure that against the actual number of completed transactions. That's very simple to do. So, what other characteristics does Pinterest have? Well, because people decide if something is interesting *before* they click on a link, your bounce rate is likely to be high. People are likely to check out the link to learn more about that specific product, and then go back to Pinterest. Again, there are pros and cons to this. It's good because the visitors are more targeted towards the product behind the link itself. It's bad because they are not in discovery mode, so they will be less inclined to look around to see what else you have to offer. In other words, you get a higher effect but lower additional sales. If Pinterest was to dominate the world, I would suggest brands should redesign their web shops to make them look more like Pinterest. This would encourage people to continue exploring on the brand's site. But today, the volume of traffic from Pinterest is simply too low. The time it takes to redesign for Pinterest simply won't provide a positive return on investment. 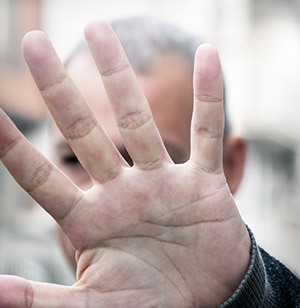 You will probably also see a different behavior with regard to new visitors. In Pinterest, people have extraordinarily low loyalty towards a specific brand. The whole site is designed to encourage people to be loyal to the stream, not the people or the brands they follow. The result of this is likely to be that Pinterest will produce a higher rater of new visitors than any other social channel - at the expense of returning visitors. At least, all this is how Pinterest should work in theory. But how does it translate to reality? Well, this is where it gets tricky. The number of useful Pinterest studies that we have seen so far are close to zero. 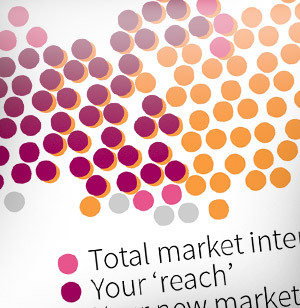 There are many studies out there, and even more infographics, but almost all of them completely fail to measure the only thing that matters - the conversions. It's absolutely irrelevant to measure how much traffic Pinterest generates if we don't know how that relates to actual transactions. But there are a few interesting studies out there. Rosetta, a customer analytics agency, analyzed Pinterest referral data from a number of large retail clients (they didn't disclose which), over a period of nine months. The conversion rate was 2x higher than that of Facebook. 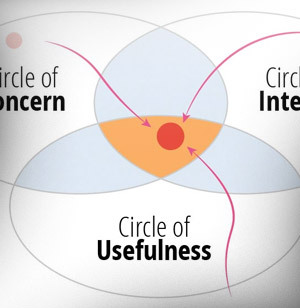 This fits well with the theory of a more targeted audience because of the two-step process. A Pinterest user has the smallest shopping cart of any site. Again, proof that people discover what they like *on Pinterest* before they reach your site. Viral activity (repining) can be directly correlated to higher conversion rate and revenue. This is very interesting. 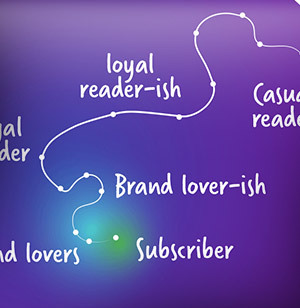 It is exactly the same dynamics that we see from blogs - particularly personal blogs. Traffic from blogs usually has a much higher conversion rate than social channels. People don't shop around as much because they came in search of a very specific product (they made that decision before they visited), and the more blogs that write about a specific product (viral effect), the higher that conversion rate and revenue is. 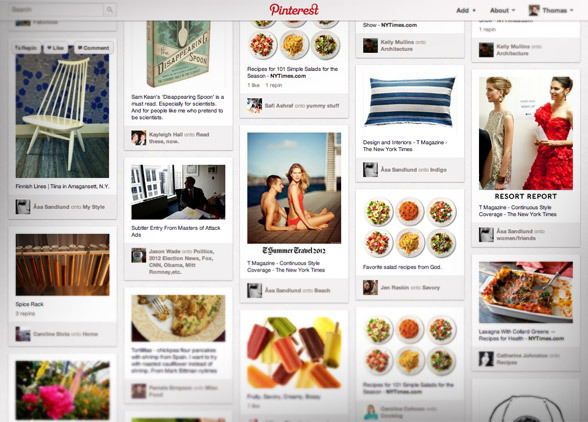 Pinterest just has a much better social mechanism for 'reblogging' - or what they call repining. One thing this study lacks is, what exactly is the conversion rate? And how much revenue did it provide? They don't tell us that. It's great to know that Pinterest has twice the conversion rate than Facebook, but if Facebook's conversion rate is 0.01%, Pinterest's conversion rate is only 0.02%. The average order size was $80, slightly above that of search engines, and twice that of social channels. Pinterest pins with prices get 36% more likes. Not really sure what that means. How does a like relate to a conversion? Pinterest users are 10% more likely to buy. Again, it's exactly the same pattern as before. What's interesting about Shopify's study is that they tell us exactly what the dollar value of Pinterest is. It's 320 orders per month, at $80 each, out of a total of 260,000 visits. Or to simplify it, the value of 1,000 Pinterest visits are 1.2 orders totaling $96. Albeit the sample size is a bit low, considering that Shopify is an ecommerce platform and this data was collected across many different stores, it is probably the best average indicator we have seen yet of the real value of Pinterest. I'm not saying it is the definitive answer, because it always depends on what kind of product the individual brand sells, but the Shopify study is the first really useful study I have come across. Pinterest users spend $180 per transaction, on average. Compared with $85 per transaction for Facebook, and $164 on average for the site as a whole. Pinterest accounts for 10% of the transactions, compared with 7% for Facebook, thus driving more sales. 86% of the traffic from Pinterest is new users, compared to 57% from Facebook. Meaning it has a less loyal audience. Pinterest users spend 70% less time on the site, visiting 52% less page views, compared to the site average. 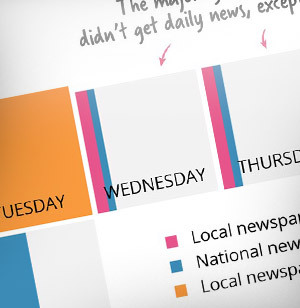 And 65% less time, and 44% less page views compared with Facebook. Again, illustrating quite clearly that Pinterest users discover *before* they visit. Pinterest's conversion rate is 71% lower than the site average, and 51% lower than Facebook. Again, it is exactly the same pattern: high dollar value per transaction, high-volume, high-bounce rate, and low loyalty. The only difference here was that Pinterest had a lower conversion rate than Facebook, which is probably caused more by the nature of Boticca being a marketplace, than anything else. Also, they didn't tell us the volume of traffic, so we have no idea what the conversion rate actually is, nor any of the other numbers. The traffic from Pinterest is likely to be high, considering they say it influences 10% of their transactions. Either that or they just don't sell that many products. Should you be on Pinterest? 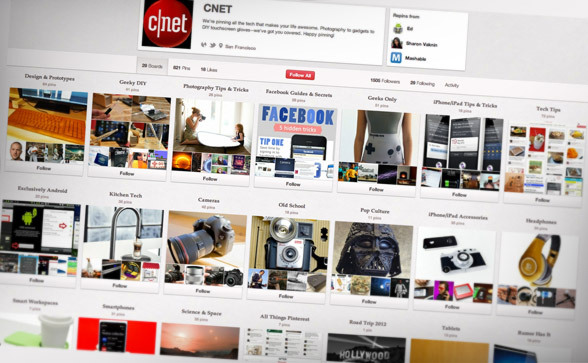 Pinterest certainly looks interesting, but it is not without its flaws. Should you embrace it? Should you create a profile for your brand and start pinning and building up followers? Let's start with publishers. The problem with Pinterest is that it is very narrow in its scope. For most publications it simply isn't relevant. 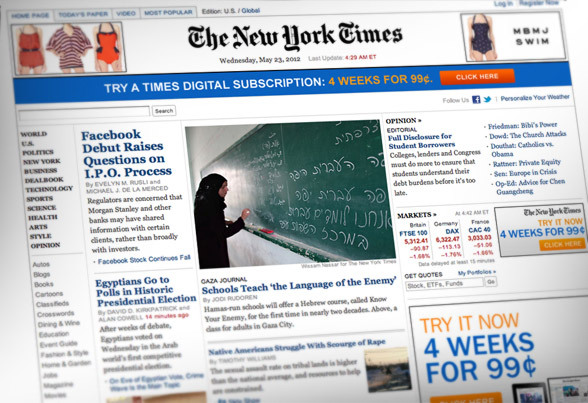 We see this with the example of NY Times that I started out with. Also, the nature of Pinterest works against the interest of a publisher. 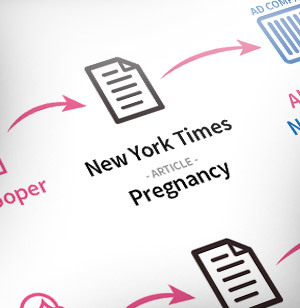 The most important thing for a publisher is to get a high mix of traffic and page views. But because Pinterest kidnaps the link, you are only getting the traffic that really wants to see the content behind the picture, and that traffic produces a very low number of page views. Because of the low bounce rate, people are not just less likely to view more pages, they are also much less likely to click on ads. 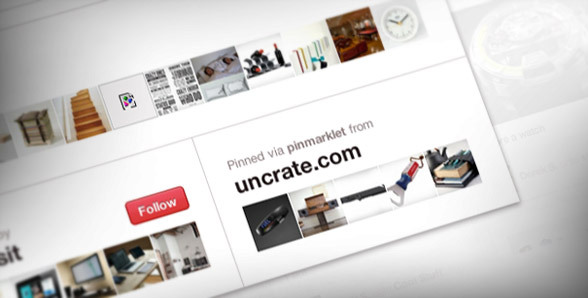 For publishers like Uncrate, Pinterest works directly against them. 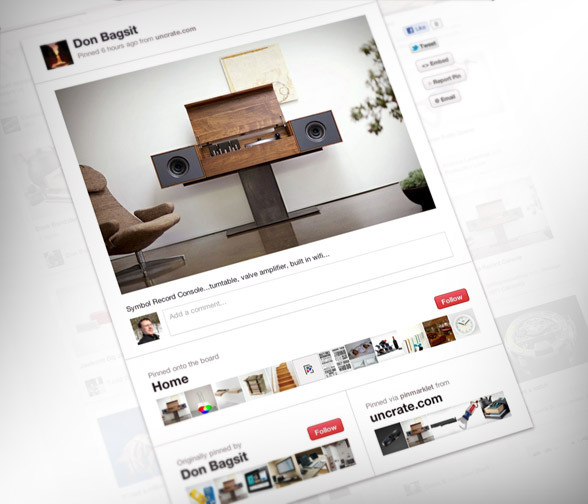 If Uncrate created a profile on Pinterest, people could just see all their exciting posts there, without ever visiting Uncrate itself. The dilemma, of course, is the size of Pinterest. Their many disadvantages might simply be dwarfed by the sheer volume of traffic. But from the perspective of generating revenue I just don't see it. The important thing for publisher is to get people to come back. And Pinterest is not very good at that. There are, of course, always exceptions. CNET, for instance, has a number of interesting boards where they post about all the things they write about that involves some kind of design. I'm sure this provides a lot of traffic for them. For brands it is very different. Unlike publishers who need people to come to them, brands are perfectly fine with the idea that people discover their products somewhere else - as long as it leads to a sale. And Pinterest has proven to be very good at that. Not just to deliver a sale, but also to increase the dollar value per transaction. That is certainly valuable. As a brand I would certainly make sure I had a 'pin' button next to every product. I would also make sure the when people pinned a page, the pictures were something worth repinning. Don't do product shots. People don't share a product, they share a feeling, a look, a style, and an emotion. Make sure that what people pin is also what they feel. And consider the title of your page, used as the description. As I wrote in my book about social commerce, giving your products good names can make a big difference. Here is a good example from Threadless. 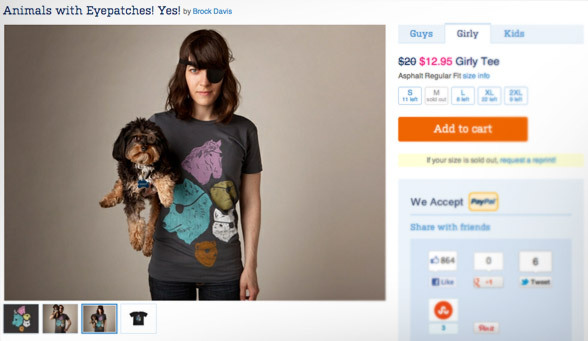 The product below is called "Animals with Eyepatches! Yes!" What a great product name! ...and just imagine how much more it would be shared just because of something as simple as that. But the question is still, should you as a brand be *on Pinterest* and pin posts yourself? Let's look at it from a financial perspective. If you sell your products with a markup of 2, and we use the Shopify study as our baseline, and if you plan to spend 3 hours per week 'managing' your Pinterest profile, how much traffic would you need to get to justify the cost? The answer is that you need to get about 5,000 to 6,000 visits from Pinterest. This is just to cover the cost, you are still not making any profit. And from this point on, each Pinterest visit is worth roughly five cents, so if you want to earn $1,000 per month, you need to get an additional 20,000 visits from Pinterest, per month. That's 26,000 visits from Pinterest. Not pins, but people clicking on the image to visit your site. Now let's compare that to the Shopify stores. On average each store only received 67 pins, which is nowhere near what they need. For the most popular Shopify store, the Australian fashion company Esther get a total of 25,272 pins. But this is pins, not visits. We then have to figure which visits generated those pins ...and we don't know that. We know that it cannot be more than 260,000 visits, because that was the total amount of visits that Pinterest generated to all Shopify shops. But we don't know how much of that Esther's got. 260,000 visits is only worth $12,800 in profit, so Esther made less than that. Well ...yes. If you are small shop, like Esther, and you can create, say $5,000 in additional income out of three hours of work, then that's fantastic. Ester's Pinterest board is somewhat popular too. They have 1,277 followers, and they have posted 2,480 pins to their board. And they are doing a pretty good job at it as well. They are mixing product shots with interesting pictures from others that fit very well into what they do as a brand. On Facebook they are doing even better, they have 30,000 likes with 10% 'talking about' them. That's pretty good! If your brand is a perfect match for what happens on Pinterest, I would recommend being all over it. A brand with an element of design, with a somewhat frequent product cycle and a high enough volume, is perfect for this. 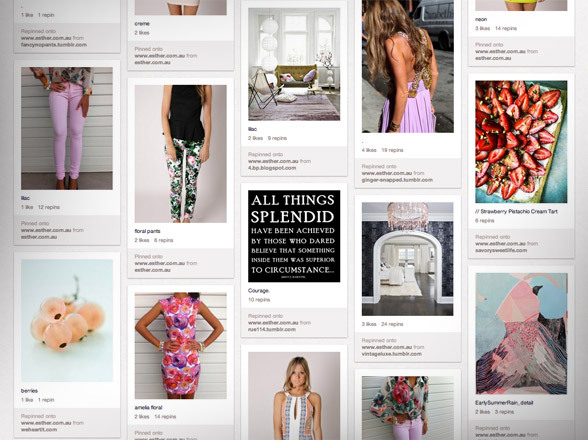 Fashion brands in particular should all fully embrace Pinterest. The problem, however, is one of scale. For Shopify's shops to have a total revenue of just $25,000 they needed to get a quarter of a million visits. That's a lot of people just to earn $25,000. What if you wanted to earn one million dollars from Pinterest? This is a tiny sum for big brands like Ann Taylor (which is also on Pinterest). Well, then you would need to get 10 million visits. Not views, or pins or whatever, no - 10 million clicks to your site. I just don't see that happening for most brands. Pinterest's very interesting, and for small brands like Esther it is probably very important too. But for big brands, it's more important to get people to pin a product, than to setup a board of your own. The pin button is more important than the pin board. Finally, I just want to give you a little bit of advice on how to create successful boards on Pinterest. Never, ever, do catalogs as a board. Don't ever do that! Fashion companies, in particular are really bad at this. They always think in terms of 'collections' or 'campaigns', because that is what they sell to their physical shops. So on Pinterest they make the catastrophic mistake of creating a board called 'Summer 2012' in which they just dump in all their products from that collection. People don't care how you organize your product portfolio with your retail partners. People don't buy collections, they buy 'this shirt'. By just dumping all the collection shots into the same board, you end up with something with no life, no energy, no purpose, no nothing. It's just a static catalog, exactly like print. Once the collection is over, once it's no longer summer but autumn, you completely lose all the people who decided to follow just that board. They won't see what you decided to post on another board. 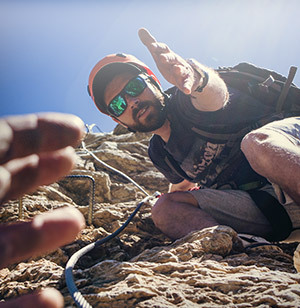 You are killing your own momentum, starting over from zero every time. This also means that you will never attract enough people to ever make a profit. What you want to do instead is to define a type, or a specific situation, like boards called 'in the city', 'home having fun', 'on the edge'. Then every time you have something that matches those types, you add that picture. And always mix your own products with other pictures and videos that relate to it. Don't just talk about yourself. Give it life, don't do catalogs! Another thing. Every time you post something about a product, always add the price in the description - always!! The reason is that a product with a price will be highlighted by Pinterest. This then serves as a call to action. It is essential for driving people to your shop. It's such a tiny thing, but it makes a huge difference. And Shopify found, pinned products with prices have a 36% higher conversion rate. If you are within the scope of Pinterest, go for it. If not ...meh.